Today’s workplace is more complex and dynamic than ever before. Employees, armed with a myriad of devices and applications, demand IT support that is fast and dependable. Customers, short on time and with high expectations, will not tolerate downtime or slow service. They want convenience, reliability and a seamless interaction that addresses their needs. Accessing IT support services for both customer and employee is usually time-consuming, and support requests often take place after the disruption or event has occurred. 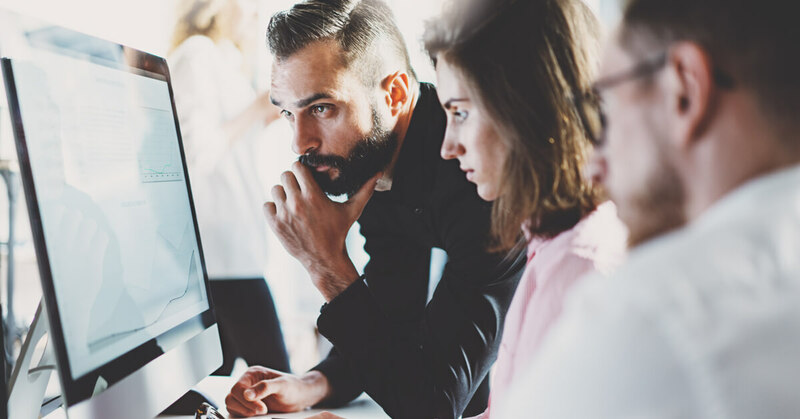 While reactive IT support services work well to a degree, proactive IT support is essential for the business that seeks to maximize productivity, enhance the customer experience and stay beyond the curve. The cost to user morale, customer experience and business productivity can be difficult to quantify but can be considerable. In a market study by Forrester, a number of main drivers and causes of disaster recovery and downtime were revealed. Of the organizations surveyed, only two percent managed to recover from their latest incident in under an hour. Loss of productivity, lost business opportunities and low staff morale were the biggest casualties of downtime. That’s not to mention the damage to reputation and revenue. An IT company that offers proactive support is able to monitor the most complex of IT infrastructures and identify failing devices, network issues and slow services before they create bigger problems. Using a range of tools and processes they will be able to jump on emerging issues early, taking proactive steps to resolve the problem and prevent negative consequences. These processes can be taken one step further with predictive support features that automatically resolve issues or set disaster recovery procedures in motion. Moving to a proactive support model can bring many benefits to the business including cost savings, better decision making, almost zero downtime and efficient management of hardware and software. Let’s take a look at those benefits in more detail. Which licenses are due for renewal? Is the email server running low on disk space? When do we need to plan for more cloud storage? Are minor security alerts likely to signify a bigger problem elsewhere? Do we need to consider a replacement server, and how do we plan that? A customer has raised an issue with the website. Are all customers affected? 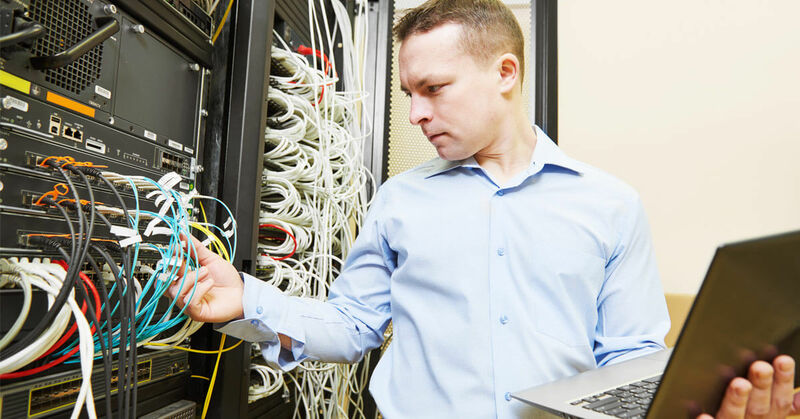 These are just some of the key questions that proactive IT support can help to address quickly, more efficiently and before they cause a huge impact on the organization. For years, IT teams have been faced with the same conundrum; how can we scale our IT infrastructure to meet the growing needs of the business? It’s impossible to predict the future, and the solution to the problem has often been to simply throw more money at hardware and software and repeat the process to infinity. This changes under a proactive IT model featuring managed services that allow you to easily and quickly scale IT services so they are aligned to the needs of the business. These services also includes continuous monitoring and health checks as standard, and allows for efficient budgeting, planning and allocation of resources to the areas they are needed the most. Proactive IT support is all about identifying problems before they happen. The costs of resolving these issues early will be significantly lower than dealing with major network issues, security breaches and downtime. According to research, just one hour of downtime can cost an organization $100,000. However, downtime isn’t always just about dollars. A negative experience can be all it takes to unnerve a customer. Unplanned downtime means you are no longer delivering value to your customers, and if your industry is teeming with competitors they will simply find what they need elsewhere. Having the right disaster recovery procedures and processes in place will ensure that you are protected and prepared for events such as flood, fire or cyber attacks. A proactive infrastructure is able to respond to these events by using failover and resilience processes that keep the network running on-premise, or which transfer operations seamlessly to another location away from the disaster area. Transitioning to a proactive approach to IT support often means reviewing existing systems and making improvements where necessary. For example, a proactive IT company may recommend changes to internal monitoring and reporting systems and arrange training for employees on security and data protection best practices. Proactive and preventative IT support, smart diagnostics and 24/7 health checks provide a much more efficient and effective route for organizations looking to improve dependability and productivity. However, tools alone are not enough. This technology needs to be combined with the knowledge of proven IT experts committed to delivering value and providing a greater return on investment. Preventing issues from occurring — at a lower cost and with less disruption to the business — just makes good business sense. Your Hardware Can No Longer Run Your “Must-Have” Software: Now What? You don’t know what you would do without that specialized application or software suite your business has always depended on — but now it looks like you’ll have to figure it out. Many grand old programs of the past stop receiving updates at some point, either because their makers have moved on to other things or because they’ve exited the industry altogether. Even major operating system providers eventually stop supporting their older versions. So what do you do when you can no longer run that all-important application? Here are some options for your consideration. Is your outdated OS standing in the way of your running your outdated application? Today’s operating systems must undergo frequent patching and updates to remain secure against the ever-growing threat of malware and hacking attempts. At some point, Microsoft, Apple and other makers will simply stop supporting an older version in favor of a newer one. When that happens, you don’t dare use your hardware in an Internet-enabled network — which means you can’t use the other legacy software on those machines either. Is it possible that your legacy software might actually run on an upgraded OS? You might as well go ahead and upgrade the OS on one machine, then try to run the program through that OS just to see if it functions normally. If you have trouble, find out whether a third-party company provides an emulator that can “translate” the program for your updated OS — or commission the creation of such a program yourself. Maybe your legacy software will run on your current OS, and the OS itself is still supported, but the ancient servers and workstations necessary to run this elderly arrangement are dragging your productivity into the ground. Even a computer just a few years old can seem mind-bogglingly slow compared to this year’s model. But you may still be able to make old-school software run with acceptable speed on yesterday’s machines — if you can upgrade the machines themselves. Try swapping the hard drive out for a solid-state drive, maximizing the on-board memory, and/or plugging into a faster Internet setup; you might be surprised by the results. Ultimately, however, it makes more sense to future-proof your IT system by buying new computers, even if it means having to say goodbye to that critical old software in the process. As unimaginable as it may seem to migrate from that beloved legacy program to some modern-day alternative, doing so is by far the simplest solution, and the one most likely to prevent future compatibility and security issues. Many state-of-the-art cloud computing platforms can provide powerful functionality at satisfying speeds, while also giving your team a more flexible and mobile environment than they could ever have enjoyed from that old program. Create a list of the day-to-day computing functions your team and industry requires, and schedule a consulting session with an IT company that can identify and install today’s ideal software solutions to those needs. Again, if you absolutely cannot find a program that offers the exact feature set you need, you can have custom software tailor-made to deliver that feature set. Generally, however, going with a well-supported program from an established maker (or a combination of several such programs, if need be) will offer the best assurance that you won’t run into this same problem again in a few years’ time. From upgrading your OS and optimizing your hardware to adopting contemporary software alternatives, you don’t have to sacrifice your business’s ability to work just because your critical program has past its expiration date. Contact GXA to discuss the available options for bringing your IT system into the present day — and beyond. 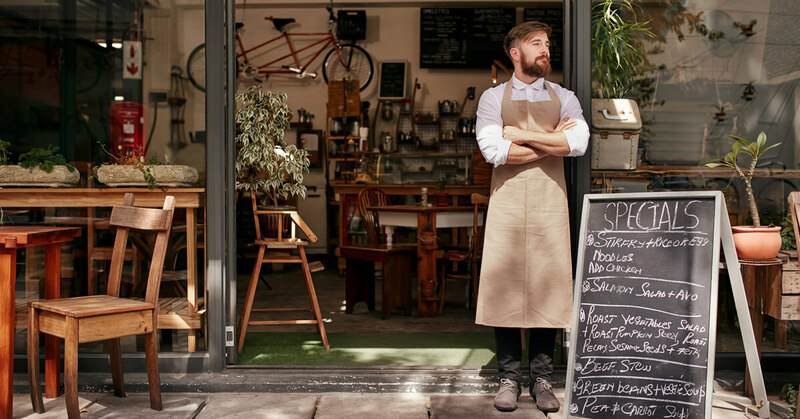 One of the biggest struggles for small businesses owners is trying to wear many hats. Frequently in small businesses, the owner will handle everything from marketing to human resources to accounting to IT. It may be overwhelming but with the internet, you can find the best resources to help you manage your business and even grow it. Trust your technology tips to the experts here at GXA. Here are four tech tips that can help your small business run efficiently and grow steadily. You’re probably already using mobile devices to help run your business, like your smartphone or tablet. But always be on the lookout for apps and services that have a mobile component. Mobile devices keep you connected with your team, allow you to operate your business on the go and helps you avoid missed opportunities. Mobile response time will also help increase customer satisfaction. Even if you just start off with a simple Dropbox account, the Cloud is a powerful tech tool for small businesses. You can easily access files when you need them and keep your entire team connected, even if you are working with remote workers or freelancers. The sooner you begin collecting and managing your data, the stronger you will be down the road. This can be anything from customer contacts to Google analytics. The bottom line is that data is important and even if you are a brand new business and just starting off, you can start collecting, managing and using your data for business growth. Bootstrapping is necessary for many small businesses. However, at some point investing in the proper tools will help you go to the next level of your business. For instance, cybersecurity is a protection that is worthy of being an initial investment for your business. This one investment can save you from massive costs down the line. When it comes to technology for your business, it does not pay to cut corners or be slow to invest. Build a strong infrastructure from the beginning so you can avoid paying the price of slow websites, unmanageable data or security hacks. 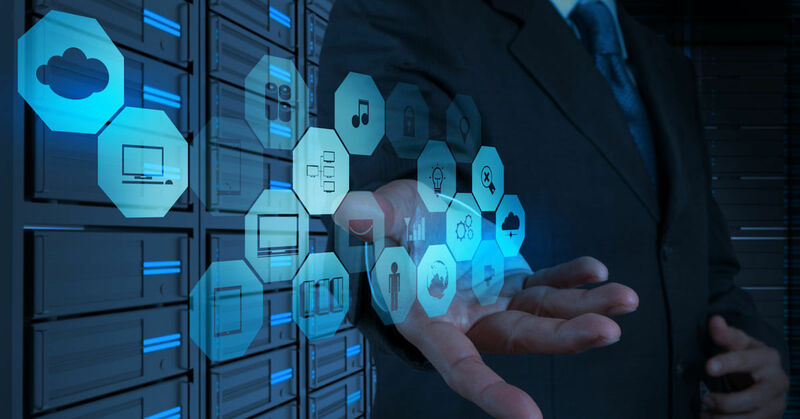 If you are ready to take your business to the next level, we suggest investing in a managed service provider or expert who can help stabilize end improve your technology so that your business continues to evolve. Backing up is one of those terms that’s frequently thrown around in small and mid-sized business circles. If you do anything at all on a computer, there’s a good chance the thought of a “backup” has crossed your mind. There are plenty of different ways you can backup your data and plenty of different data you can backup. But for some instances, you might wonder — what’s the point of backing up? Do you really need to backup everything? How does it benefit your business? The short answer is, yes, you really need to backup your data, your files, your website, your servers, your systems, etc. Most people backup their data because of fear of loss of files. With the recent rise of cyberattacks and viruses, years of data can potentially be stolen or lost in just a matter of minutes. While, being able to hold onto and protect your files is important, there’s actually a bigger reason for data backups. The most important and vital reason to backup your files is to maintain business continuity. It’s more than about restoring files or workstations. It’s about recognizing that the employees using those files or workstations need to do so to keep the business moving. When things are lost, you lose money through wasted time or missed opportunities. You simply don’t have time to try to decide what to do, how to start from scratch or how to restore. It is imperative that the business continue moving with minimal time and money lost. Without a good backup approach, you can lose days or weeks of working time and productivity. For some small businesses, this could cost them their business. 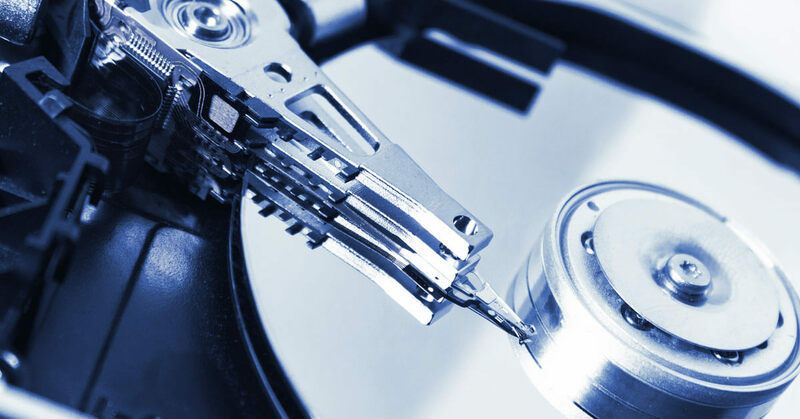 Backups protect you from data loss and keeps business operating on a smooth and consistent basis. It’s time to stop wondering why, how and if you should backup your data. Protect your business now and get ahead of any loss. Start your backup solution with determining the most important information or systems in your business. These are the data or systems that if you lose, you could cause major damage to your business. Then determine the right backup solution. You have plenty of options to choose from when it comes to your backup solution. You can choose a cloud storage, a backup server or a hybrid backup solution. After you chosen your back up solution, you need to ensure you have a backup schedule. Files that haven’t been backed up in months will not help keep the business moving in the event of a disaster or data breach. If you are looking for backup solutions for your small or mid-sized businesses, contact GXA to learn about our different options!